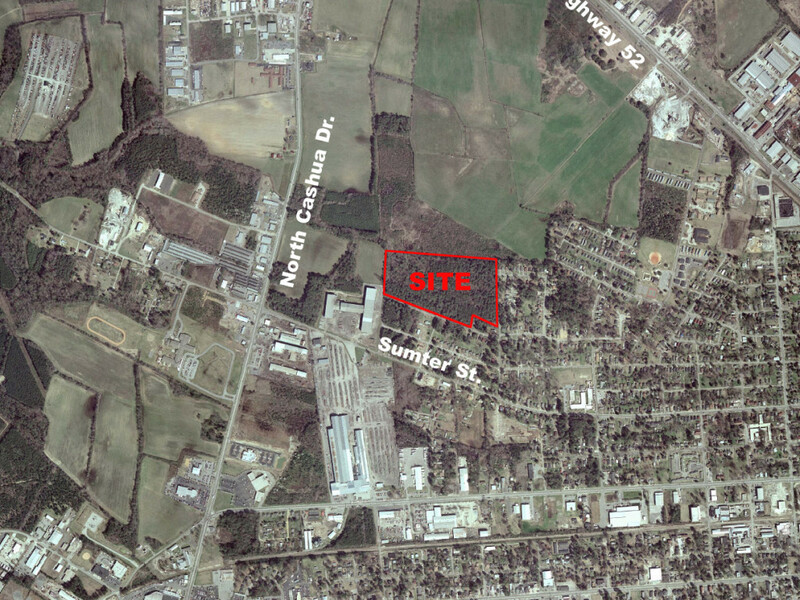 This +/- 25.88 acre site is ideal for residential development on the North side of Florence. With frontage on Harmony Street, this site sits just off the intersection of North Cashua Drive and Sumter Street. There has been some recent residential development in the neighborhood area. The site boasts easy access to the major commercial, retail and food & beverage areas of Florence. The site is situated just inside the city limits of Florence. City water and sewer are close to the site, allowing ease of development for residential neighborhood. Zoned R-4, the site allows varying degrees of residential dwellings to suite most residential developments, including most single family units with conditions on town homes and patio homes and very little multi-family dwellings. The owners may consider subdivision of the property. The site has several hundred feet of frontage on Harmony Street and is somewhat rectangular in shape, allowing for ease of access and development. The Site is For Sale for $311,000.